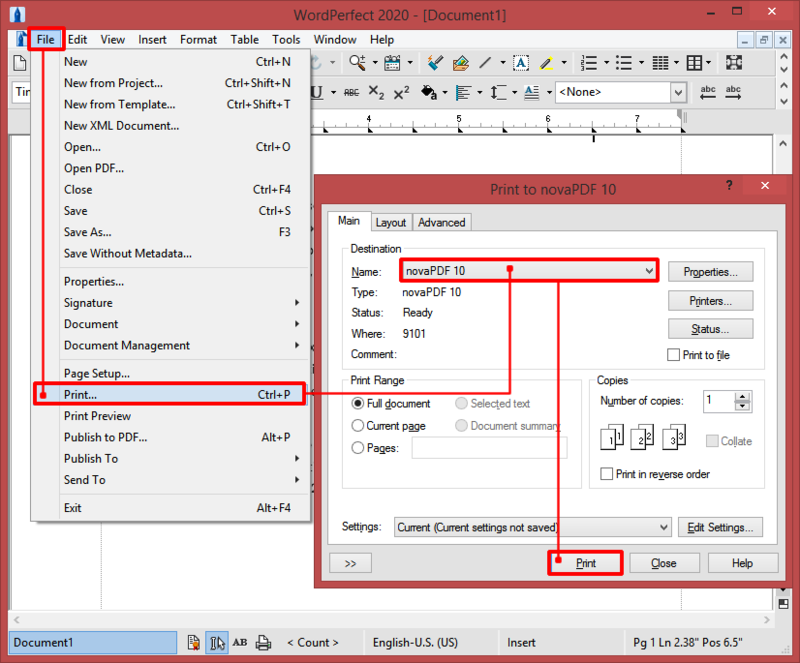 WPD is the native Corel WordPerfect file format for text documents. WPD files can also contain images, objects, tables and formatted text however everything is stored in a Corel proprietary format, making difficult to further work with the file. To attend this issue, Corel WordPerfect also includes a couple of exporting modules to other file formats. The difference between this and the Microsoft alternative is that Word can be used as a standalone application while WordPerfect cannot be used separately. The support for Unicode is also poor unfortunately despite requests from a large user base for enhancement so it can only be used with real success in USA or Western Europe. Despite all these drawbacks, the WordPerfect application remains a popular one especially among its longtime users. Still this made possible for other file formats such as the PDF one to show their usefulness in portability, full Unicode support and archiving possibilities. Also applications like novaPDF now make possible converting the wpd format directly to a PDF and enhancing it further with signatures, advanced security, deployment over the network and the internet on the fly, online searching possibility etc. 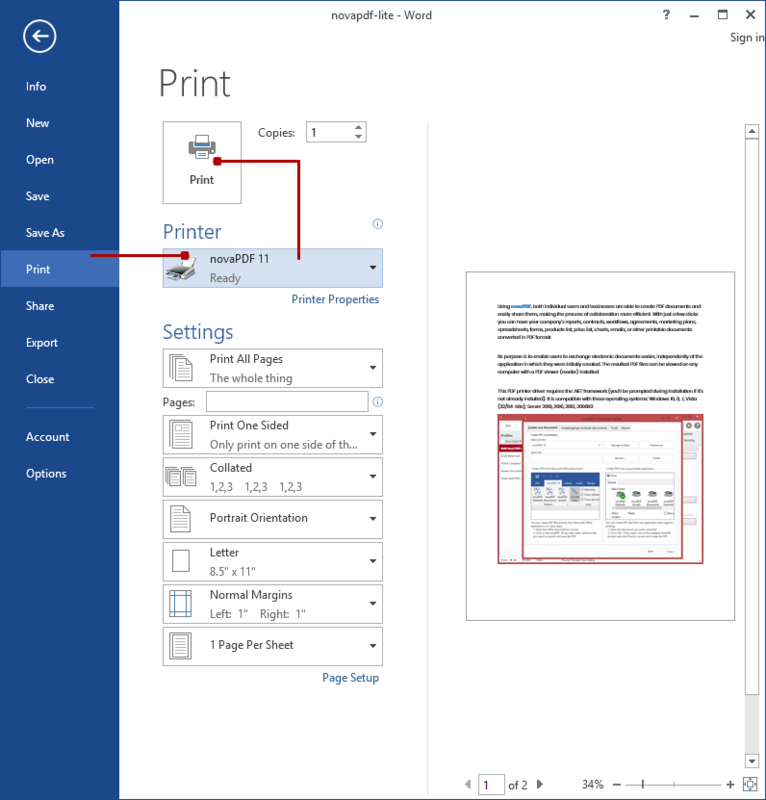 Click Print then choose where you want the PDF file saved.